Study the Association of British Investigators endorsed IQ Award for Professional Investigators. The Level Three Award for Professional Investigators is your pathway to training, knowledge and procedural competence for your private investigator licence (When business licensing is introduced). 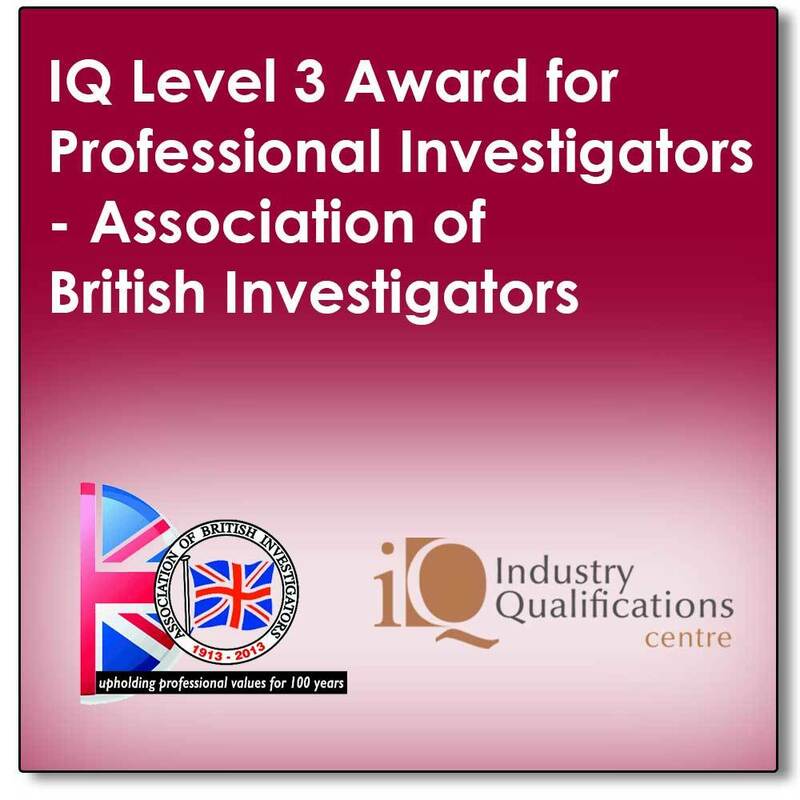 The Level 3 Professional Investigator Award is already required to enter most of the trade bodies that represent the UK’s professional investigators and is your proof of investigative competency to employers and customers.